The default camera is the Instant Terra camera, but you can select one of the three different key and mouse combinations - Default, Maya-style, and 3ds Max-style - cameras to pan in the 3D View (see the Camera menu for more details on how to toggle between the different cameras). Default camera: Click on an area in the terrain, press and hold the left mouse button, and move the mouse. 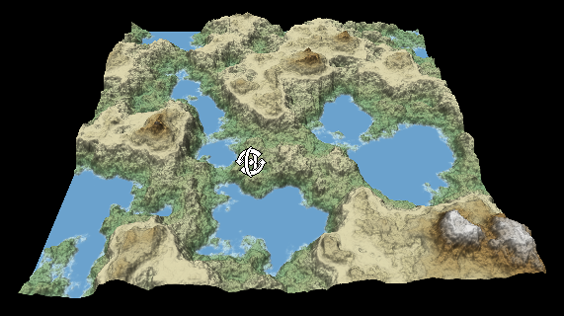 The area of the selected terrain follows the mouse cursor. Maya-style camera: Click on an area in the terrain, press and hold the Alt key and the middle mouse button, or just the middle mouse button, and move the mouse. 3ds Max-style camera: Click on an area in the terrain, and press and hold the middle mouse button, and move the mouse. The camera speed depends on the are of the terrain under the mouse cursor. If this point is far from the camera, the movement is faster than if this point is near to the camera. If you click in an area outside the terrain, the movement is at a default speed. Default camera: Right-click on an area in the terrain, press and hold the right mouse button, and move the mouse. 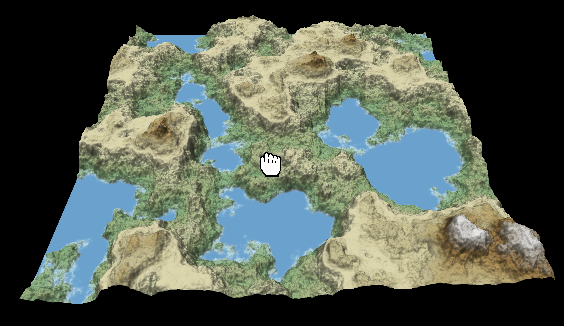 The camera rotates around the area of the terrain under the mouse cursor. Maya-style camera: Click on an area in the terrain, press and hold the Alt key and the left mouse button, and move the mouse. 3ds Max-style camera: Click on an area in the terrain, press and hold the Alt key and the middle mouse button, and move the mouse. If you click in an area outside the terrain, the camera rotates around itself. To move the camera forward, scroll the mouse wheel forward. To move the camera back, scroll the mouse wheel backward. To move the camera closer to or further from a specific area, pan the camera to the area and then scroll the mouse wheel forward or backward. Maya-style camera: Press and hold the Alt key and the right mouse button, and move the mouse. 3ds Max-style camera: Press and hold the Alt key, the Ctrl key, and the middle mouse button, and move the mouse. Select Camera > Zoom Extents Terrain. Press the Z or the F key.